After the last two weeks of rain, peas and broad beans have come into their own. They are delicious on their own, either raw in salads or just lightly boiled as a vegetable. There are loads of other dishes you can use them in. These suggestions assume the broad beans are young and that their skins aren’t tough. If their skins are slightly tough, I know it is laborious, but it is well worth removing them after boiling. 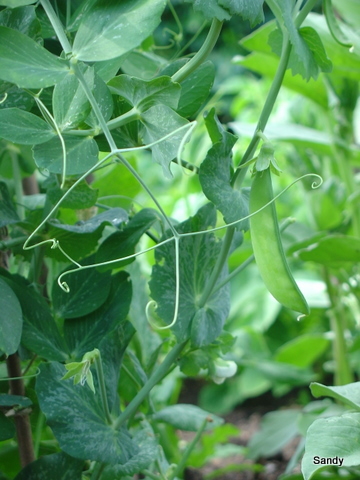 Although I have specifically mentioned peas or broad beans, you can successively substitute one for the other. Peas – boil for a minute and then drain, melt some butter and shred some lettuce, lightly saute the peas and lettuce. You can add salt, pepper and nutmeg but the flavour on their own may just be good enough! Pea and lettuce soup / pea, broad bean and mint soup / broad bean and ham soup etc……. 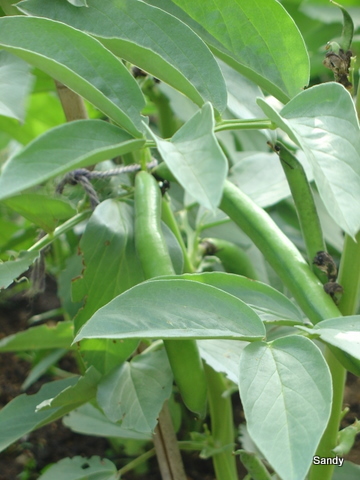 Broad Beans– boil until tender and then mash with chopped mint and creme fraiche for a great dip. Add salt and pepper if needed. Broad beans– make a risotto with a bit of ham and ham stock and add the uncooked broad beans a couple of minutes from the end of cooking. Peas– cook some fusilli (spiral pasta), add some peas 1 minute before pasta is cooked. Drain and stir in some ricotta, feta and chopped parsley. Season.